The Virtuoso Pianist was first published in 1874. Despite its iconic place in piano study, one fact becomes clear upon examining it in relation to other pedagogical works of the early to middle 19th-century: Hanon’s work contains nothing that is in any way new or innovative. The method is, in fact, remarkably similar to a number of French and German piano methods of the period that display an identical progression from simple exercises to a variety of basic technical elements. Notable among these, Aloys Schmitt’s Études pour le piano, published in the decade before Hanon’s birth, contains five-finger exercises that clearly influenced Hanon. 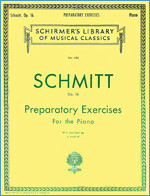 For example, Schmitt’s exercise 170, the first exercise in his collection, is identical to Hanon’s own first exercise published approximately 60 years later. 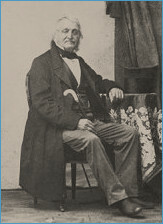 As five-finger studies are formulas rather than compositions per se, it is impossible to verify that Hanon copied some of his exercises from previously existing collections—a practice not unheard of in the decades before modern copyright laws—or if he unconsciously mimicked other composers. However, the similarities of his method to those published before his own suggest, at the very least, familiarity with the pedagogical literature available at the time. 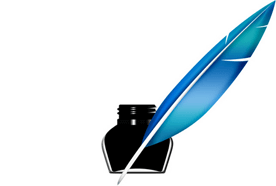 This article is reproduced with permission from the authors.